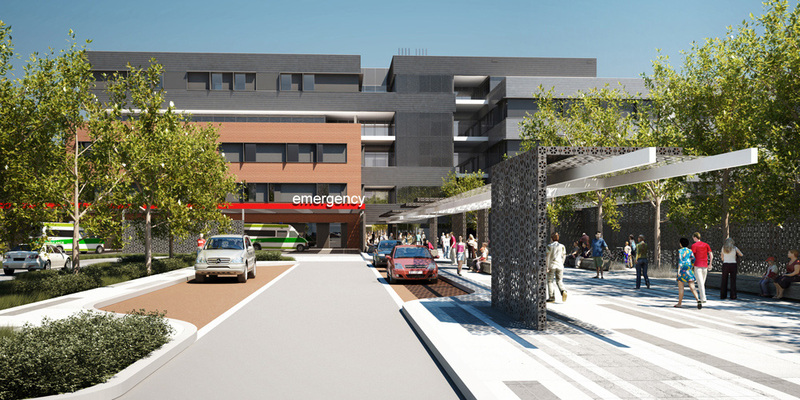 On the back of our successful completion of the award winning Fiona Stanley Hospital, Nilsen were proud to negotiate the Design and Construct, Electrical and Communications contract with Brookfield Multiplex for the new St. John of God Health Care, hospital in Midland. 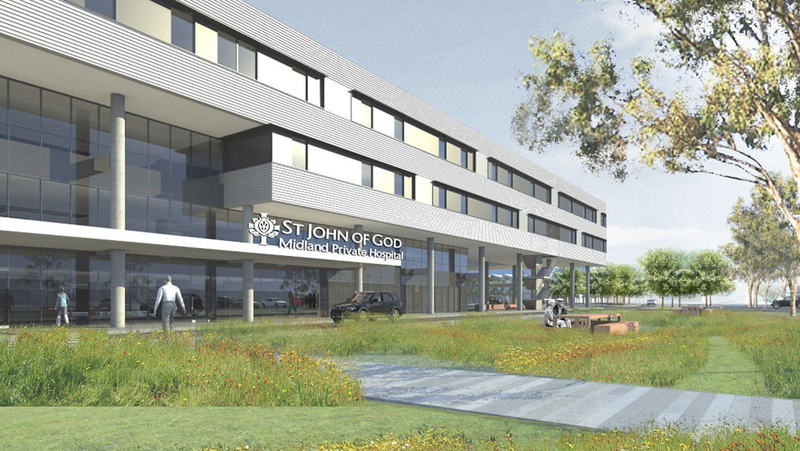 St John of God Health Care will build and operate the public and private hospitals. The Public hospital will treat approximately 29,000 inpatients, 55,000 emergency patients and 89,000 outpatients each year. 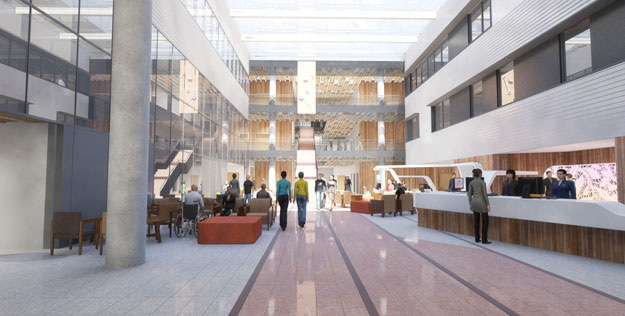 The hospital will hold 367 beds in total – 307 public beds and 60 private beds, with on-site parking for 725 staff bays and 221 visitor bays. The ECI (Early Contractor Involvement) and design stage commenced in June 2012. Nilsen produced costings and design recommendations during this period. The 11kv high voltage infrastructure, which involves the supply and installation of associated Earthing works, Cable installation, provision of 16 x Transformers, 16 X Ring Main Units and High voltage Main Switchboards. High Voltage 11kv standby generation systems c/w the ability to serve the hospital in disaster mode i.e. run for 48hours continuously supporting essential and critical services. Low Voltage cabling networks inclusive of Main Switchboards (16 of) Main Distribution Boards and Distribution boards deployed as Essential, Non-Essential and UPS form part of the main building infrastructure. General Light and power, Medical services panels to service approx. 300 rooms form part of the works under scope. This equates to approx. 20,000 light fittings and as many power outlets. Full DALI integrated Lighting Control system will be installed providing an energy efficient and flexible control system. Uninterruptible Power systems - 4 of – installed for support of 2 x Data Equipment Rooms and critical services site wide. Structured cabling system with full redundant / diverse backbone cabling system servicing 60+ communication rooms. The 14+ communication rooms deliver a network to the order of 3,000 Category 7A outlets for network purposes. Interfacing with various building engineering services including but not limited to BMS, CO-Generation, Security, AV and ICT services, to name a few, are all being implemented. Additional works include Lightning Protection systems, Master Clock Cabling, Inground services, external power and lighting works, Helipad Lighting Installation. The facility is also being designed and built to withstand potential Earthquake phenomenon bringing added complexity and design consideration to the project. You can view the construction phase here.